Call us at (925) 395-0252 today. For more information or to schedule an appointment with our Pleasant Hill chiropractor, call (925) 395-0252 today! Dr. James Dietrick is a chiropractor serving Pleasant Hill and the surrounding area. Our chiropractor and the rest of the welcoming team at Higher Ground Chiropractic are committed to providing chiropractic solutions to address your unique needs. If you are experiencing back pain, neck pain, headaches, muscular tightness and tension, are searching for pain relief after an accident/injury, or suffer from a specific condition like chronic back pain or other spinal condition, our team will be happy to serve you. It is easier to stay well than get well. If you are not recovering from an injury, but are looking to improve your overall health and stamina, our chiropractor can help you attain your everyday wellness goals! Visit our testimonials page to find out what our patients are saying about our Pleasant Hill chiropractor and our chiropractic care plans. At your first visit to Higher Ground Chiropractic, Dr. James Dietrick will explain how chiropractic care works, and give you a full evaluation to see if our chiropractic solutions are a good fit to address your needs. If there is a good fit, we can customize a plan of chiropractic care for your condition and health goals. If you have not been to a chiropractor before and want to find out more, please email us or call (925) 395-0252 to receive the answers to your questions from our experienced team. We also welcome referrals, so we invite you to share our chiropractic and wellness information with your friends and loved ones. "If you are considering chiropractic but you aren't sure it's right for you, I'd encourage you to go talk to Dr. James. I really believe he has my best interest in mind every time I walk in the door. Don't take my word for it. Go see for yourself." "I can't say enough about how thankful I am to Dr. James. I will absolutely stick to his recommendations and treatment as a way of life. I want to stay feeling this great! I know it's about being "healthy", but the quality of life I have back is what has me so thrilled." "My first experience with James was great. I initially sought our Chiropractic Care after dealing with neck pain. James taught me several exercises and through just a few visits I was able to feel a significant improvement. It wasn't long after my initial care that I became pregnant which brought about several other Chiropractic needs, especially in my lower back. I was lucky enough to have James' care throughout most of my pregnancy which made for a very happy preggo. 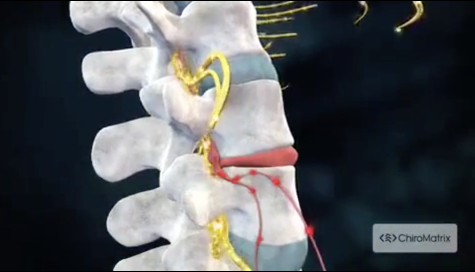 Most people don't realize how easily your spine can get misaligned. I learned several techniques from James to help avoid issues and for those that could not be avoided, his care became greatly needed and greatly appreciated. He takes the time to listen and is persistent with making sure his clients see significant improvements. Thank you again James!" "Dr. James has been a life saver! I have suffered from TMJ for my whole life and it had gotten to a point where it was effecting my quality of life. Dr. James tried many techniques until he found the one that worked for me personally. It is such a relief to be pain free! I have been to many chiropractors in my days, but I have never found one who is not afraid to spend time speaking with you and generally cares for his patients health and wellness as much as he does. Let's put it this way, I am moving out of the area and will still continue to make he drive to see Dr. James!!!!"